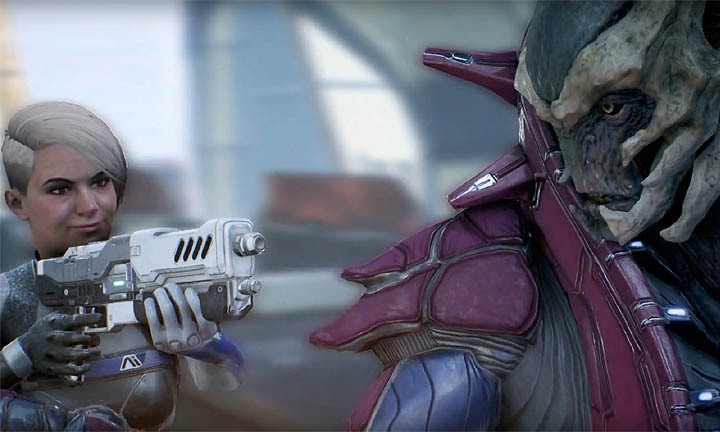 ME Andromeda contains several types of container that are further classified into species groups such as the Milky Way, Kett, Remnant and Angara. Of importance is the presence of Hidden Cache Containers which contain free loot, taken from the rare loot tables. Essentially players can obtain some of the games best and rarest weapons, armour and resources from these crates. 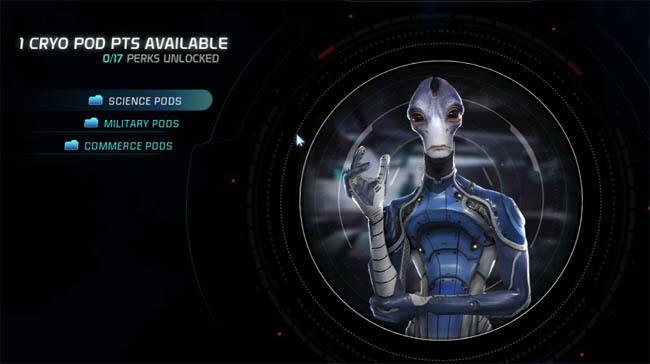 Besides the hidden cache containers, Andromeda contains sets of Common, Uncommon and Rare containers that contain items of rarity described by their name. As you may expect, the Common containers have common loot such as consumables and common research materials. Uncommon and Rare containers are harder to find and contain items of higher value and rarity. Since Bioware are offering us the chance to dip into the rare loot tables for free, and gain several rare items in the process, you would rightly expect that these caches are infrequent. From my experience the hidden caches are found in and around UNC's and to a lesser extent during some of the main missions. The best tip for finding them is to unlock a particular perk. The Reconnaissance perk is part of the Military Pod perk group. When unlocked, it reveals hidden caches around established forward stations. Forward Bases are of course deployed from the Tempest to give you a starting point to explore areas of a new planet. With Suvi's help, your map is automatically marked with potential forward station regions whenever you arrive on a new planet. Once you've earned Cryo Pod points, visit the AVP Status Control (Vitality Points) terminal on the ship to spend points in return for Cryo Perks. With the "Reconnaissance" perk in your arsenal, it's a simple case of following the maps radar to track down the Hidden Caches and reap the rewards of some of the games best gear. The example below shows a hidden cache found during the third mission "A Trail of Hope". It is an Angaran cache so of course contains items with superior Tech bonuses. 1. 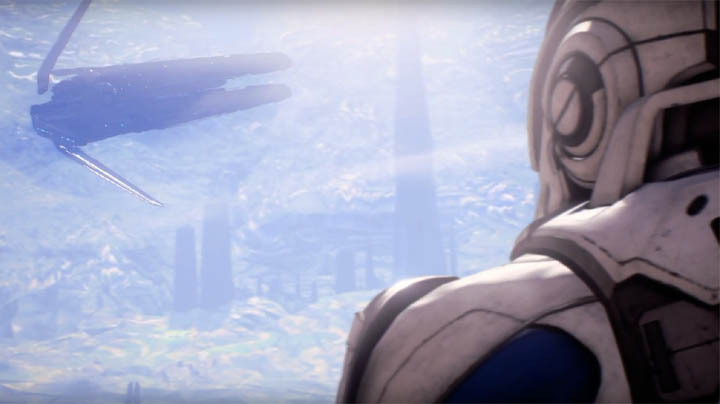 Start the mission "A Trail of Hope"
This is the third main mission in Andromeda. The cache can be repeated on NG+ playthroughs. 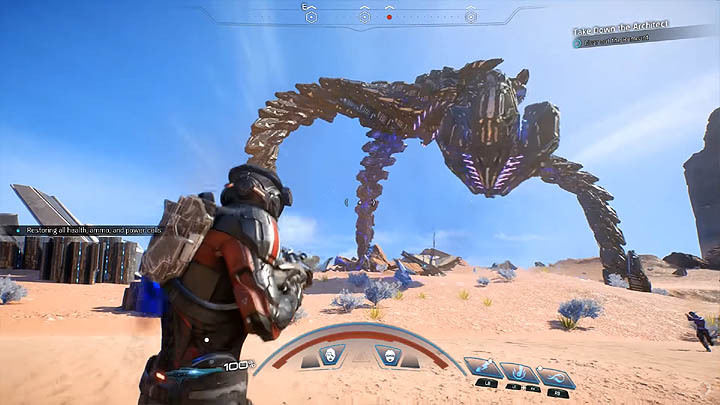 Upon starting "A Trail of Hope" there are several Actions including "Helping Havarl's Scientists" (Havarl) OR "Meet the Resistance" and "Stage a Rescue" (Voeld). To find the hidden cache, venture into the "Meet the Resistance" objective. You can always complete the other objective later. Upon arriving at Voeld in the Nol system your life-support systems are malfunctioning because of the extreme weather. Use the heating elements to stay alive and follow the path onwards to the East. On your way towards the docking area, hug the left hand side wall carefully and you should spot the Hidden Cache containing Angarn equipment. TIP: Make a save game point before opening the crate if you want to reload and re-roll for something you really want! Repeat this tactic until you get an awesome Angarn weapon or armour piece. If I come across more Hidden Cache's I'll try and update this guide but I strongly recommend the Reconnaissance perk for your own benefit.